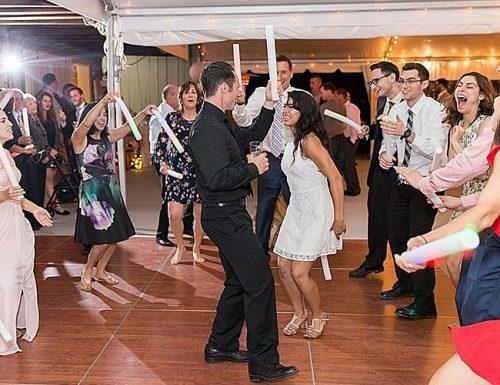 Wedding receptions are a celebration that you will want to remember always. So, of course, you want your choice of music to be memorable as well. Many couples make the mistakes of playing the same tried songs at their reception. It is best to avoid songs that are on the banned list of songs to ensure that your wedding reception is not cliche. Wedding receptions are happy times that are to be shared with friends, family, and loved ones. There will be guests of all ages, religious beliefs and backgrounds attending your wedding. It is important to keep this in mind when planning your list of songs for your wedding. Before meeting with the DJ or band, your fiance and yourself should sit down and go over the list of songs that you would like played at the reception. This way you can avoid any problems and keep your guests happy. To keep everyone happy, we have pursued the worst wedding reception songs to give you the following list of 40 of the most banned wedding songs. Be sure to give your DJ, MC or band this list before the reception. Face it, there are some wedding songs out there that are just horrid. Songs such as the list below are among the worst wedding songs of all time. Thus, you should avoid playing them. Don’t worry about pleasing your guests when you are planning your wedding reception song list. It is your wedding and your reception so you want to play songs that are meaningful to you. Keeping this in mind, you also need to remember that there may be children present so you do not want to offend anyone with dirty lyrics. 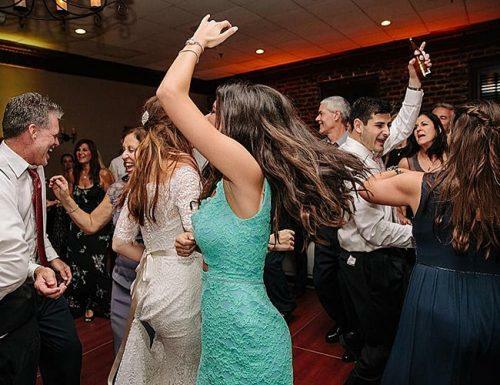 You want everyone to have a good time to try to avoid annoying wedding songs that are overused and have been played at every wedding since the dawn of time. Certain wedding songs are just plain cliche. You have heard them at every single wedding you have attended for as long as you can remember. And they’re a bit cheesy if you really admit it. For example, “The Way You Look Tonight” is a tried and true first dance song. It is a wonderful song, but it is so overplayed that it has become a cliche. You want to choose a song for your first dance with your spouse to be one that has special meaning for you. Avoid songs that every couple has danced to for their first song for ages and ages. According to the most recent list by The FiveThirtyEight, all the songs on this page are inappropriate to be played at weddings. This does not mean that they are horrible songs in general. It just means that are not appropriate for the audience at a wedding reception. Most importantly you want to avoid songs that have inappropriate or not romantic lyrics. While these songs have a time and a place, they should not be played at weddings. The father-daughter dance should be a special moment that celebrates the bond between the bride and her father. This also goes for the mother-son dance. Therefore, you do not want to choose a song that has cursing or vulgar language. Keep in mind that people of all backgrounds, ages, and religious denominations will be present during your wedding reception. So you will not want to play songs that will offend or embarrass anyone. 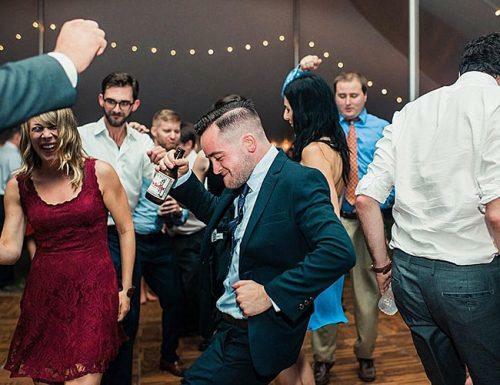 Following are some of the top banned songs with inappropriate, dirty, vulgar, offensive or unromantic songs to avoid at your wedding reception. 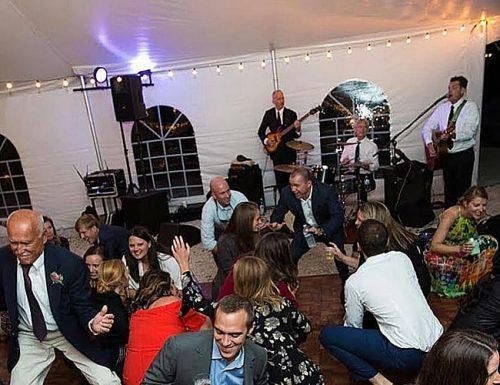 Remember to include these songs on your “do not play wedding song” list to give the band or DJ when planning the music for your wedding reception. Instead, you can choose from a list of the newest wedding songs that have wholesome, meaningful and romantic lyrics to play at your wedding reception. This way everyone will enjoy themselves. There are certain songs that are overplayed, both at weddings and elsewhere. This includes Top 40, country songs, pop songs and even oldies such as “My Girl” by the Temptations. Again, we are not saying that any of the songs on this list are horrible songs. We are simply stating that they should not be played during your wedding reception. If you are an adult, the last thing you want is Taylor Swift or Justin Bieber Wedding Songs playing at your wedding reception. You want music that is romantic, meaningful and special. You and your spouse will want to remember this day forever as will your guests. Following is a list of the 10 most overplayed wedding songs to give you an idea as to what to ban at your wedding reception. We hope that you will take his banned list of songs into consideration when planning your wedding reception. There are hundreds of beautiful songs out there. You will be sure to find enough songs to fill your wedding reception playlist. For a list of appropriate wedding reception songs, feel free to check out other articles on WeddingFoward.com. We can help you create a playlist for your wedding reception including first dance, father-daughter, and mother-song wedding songs. As well, we can give you advice on anything from creating a realistic wedding budget to composing your wedding vows. Now start planning your wedding reception and make it an affair to remember!